Calling all math nerds and pie enthusiasts: it's time to celebrate 3.14 with a little apple, pumpkin or pecan pie (but we don't discriminate–any flavor will do!). These fun DIY projects range from pie slice boxes to pie slice hats! Have a little fun and enjoy a slice (or two) on us. Pack everyone in your family a mini pie in a small mason jar so they can celebrate Pi(e) Day while at school or work as part of their lunch. These homemade pies in a jar taste delicious and when topped with the printable tag they would also make a charming gift idea. It isn't too late to fost your own Pi(e) Day party this March 14th, get the word out about your event by downloading this printable invitation inviting your friends to come to the nerd side with this funny DIY. Transform regular macarons to look like mini pumpkin, cherry, key lime or even lemon pie by using food safe markers to draw on the top of them to create a batch of sweet pie macarons. Does the smell of freshly baked apple pie fill you with joy? If so bring the sweet smell of baked apples to your home by making so homemade apple pie soap which you can also give as a gift using the printable soap labels provided. Decorate a pie by making one of these three pun pie stencils that you can cut out of a thick sheet of paper and use icing sugar to stencil the design onto the top of your pie. 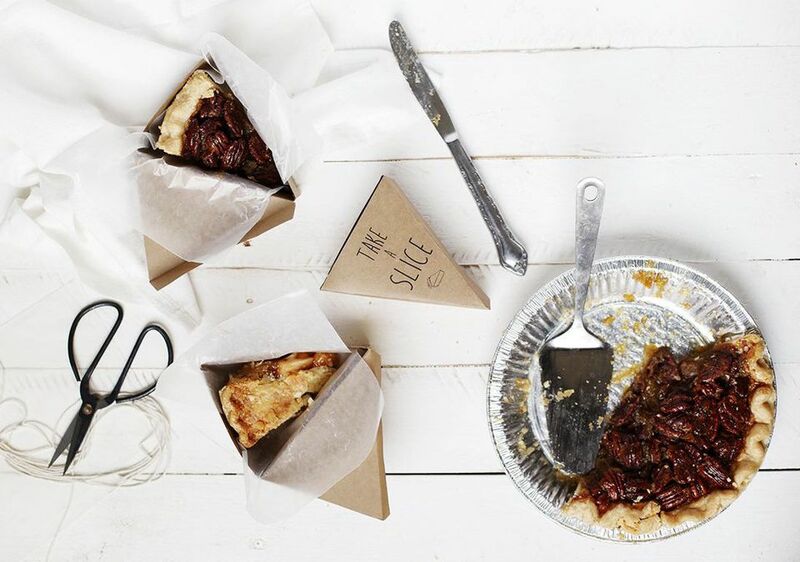 At the end of your Pi(e) Day party send all your guests home with a party favor by packaging up a slice of pie for them in a DIY pie box that will perfectly carry a single slice of pie for your guests to bring home and eat later. Often when baking a pie to bring to a party or give as a gift the pie dish itself might not be returned as it gets lost in the other person's kitchen. So if you are an avid pie baker making your own personalized pie dish with your name on it is a great way to make sure after the last slice of the pie you brought has been eaten that you pie dish will be returned to you. Beautifully package up some homemade peach pies with this printable pie gift label that you can stick on top of the lid on a pie container. Craft your own set of paper pie treat boxes that look like various popular types of pie such as cherry, chocolate or even pumpkin that can be filled with candies. Young children might also enjoy using these pie treat boxes to play with along with their other toy foods in their play kitchen. Celebrate Pi(e) Day by hanging a sweet DIY pie slice garland in your home that would look amazing behind your pie buffet table. To add some extra special detailing to each of the hanging slices of pie, the crust is made out of molding clay so that the pie crust sticks out slightly above the pie filling. Make everyone laugh this Pi(e) Day your own homemade slice of pie hat that you can wear all day in celebration of March 14th. To celebrate Pi(e) Day you will need to have an assortment of pies available to eat, so make sure to keep the type of pie clearly labeled using these fabulous printable pie tags. The tags also would make a great way to label any pies you might want to gift family and friends so that they can celebrate with pie too.